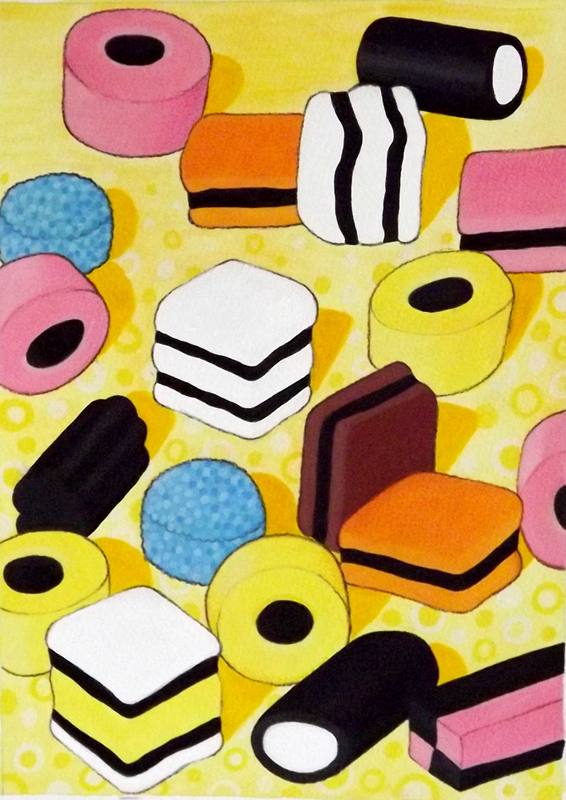 I redid the liquorice allsorts composition to match the style of the red apple painting and I’m very happy with the result. I feel like I have a signature style developing which is exciting after about eight months of experimentation. I’ve also just noticed one of the shadows is the wrong shape – can you spot which one I mean?